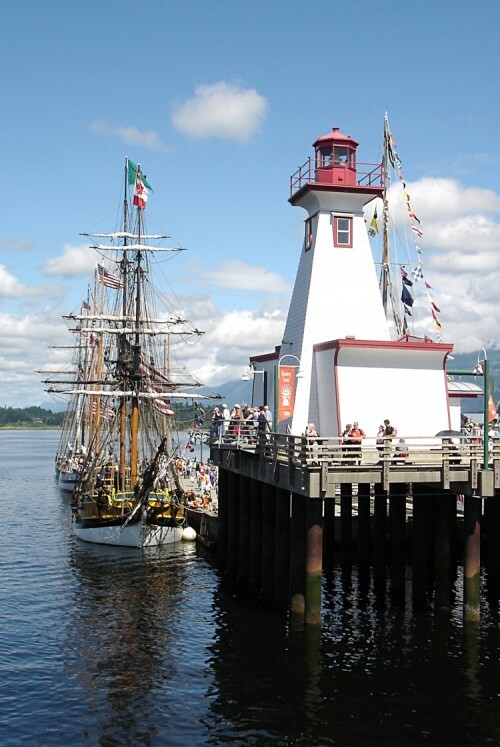 The Port Alberni Maritime Discovery Centre (The Lighthouse) and the Hutcheson Gallery are owned and operated by the Port Alberni Maritime Heritage Society (a non-profit society). The Society conceived and developed the Centre in association with the Alberni Valley Museum and the Port Alberni Port Authority. Construction was completed in 2001 and The Hutcheson Gallery came four years later. Port Alberni Maritime Heritage Society (PAMHS) was formed in 1989 with the purpose of working with the museum and the community to preserve and present the maritime heritage of the west coast area. It has developed and hosted temporary exhibits, mounted public information panels, coordinated many special events and restored the Banfield Lifeboat. Each summer season a new exhibit on a maritime theme is presented, along with special events and activities.